The Holt Owl Trail derives its name from an ancient legend when some local men caught an owl and put it in the Town Pound for “safe-keeping”, whereupon the owl flew away. 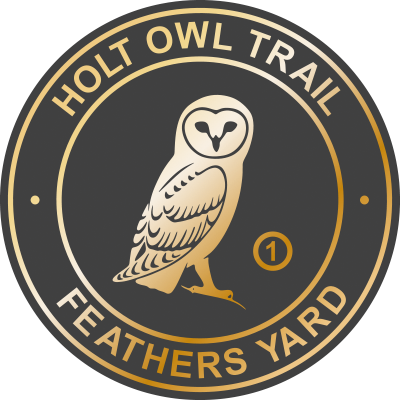 The logo for the Holt Owl Trail was designed and kindly gifted to the project by Robert Gillmor MBE, founding member and past secretary, chairman and president of The Society of Wildlife Artists (SWLA). The 24 pavement plaques were installed in Holt town centre in December 2017 as a project associated with Holt Town Council, Holt Chamber of Trade and the Holt Society. The Holt Owl Trail committee wish to record their appreciation to the many businesses, organisations and private individuals who supported the project with grants and private funding.